Thank you for nominating us! Come on Suzan - you can do it! Please be a responsible owner and get your cat neutered! 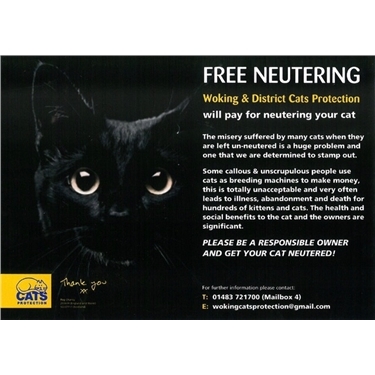 Woking and District Cats Protection will pay for neutering your cat. Send the cats a gift!